A friend wanted to go to Boracay this weekend, and eager to travel, I agreed to go with him. Unfortunately for him, work wouldn’t allow him to take leave. Not one to pass up the chance to get out of Manila, I pushed on with the trip, specially since it’s a long weekend for me. 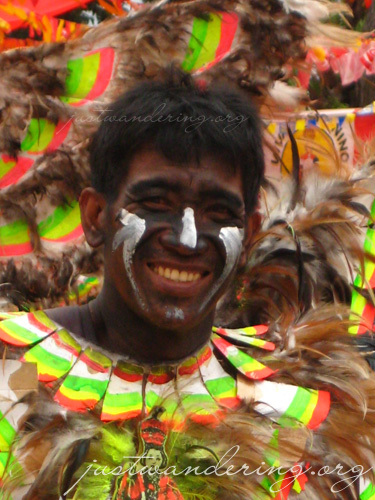 I found out later on that it was the week of the Ati-atihan festival in Kalibo. Though I will be flying into the Caticlan Airport, I thought I might as well make the most out of the trip and take that one and a half hour ride to Kalibo and witness the mother of all festivals. 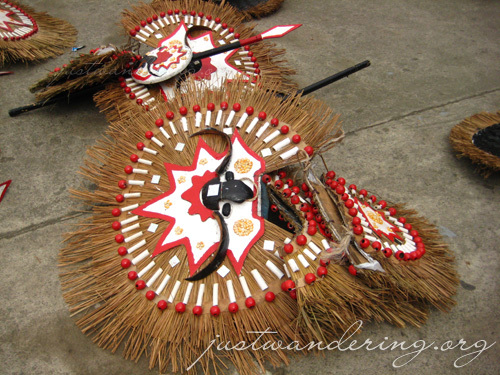 The Ati-atihan is held in the honor of the Sto. 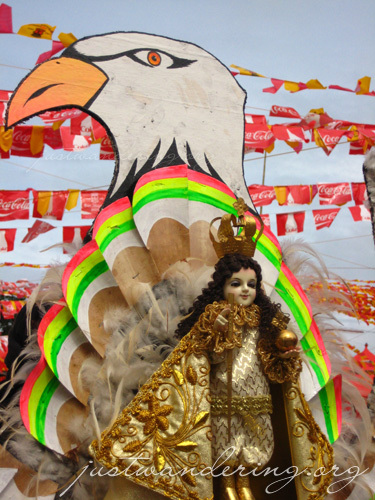 Niño, much like the Sinulog festival (which is being held simultaneously in Cebu) and the Dinagyang Festival of Iloilo (which will be held next weekend). It’s a week-long affair, concluding on the third Sunday of January. 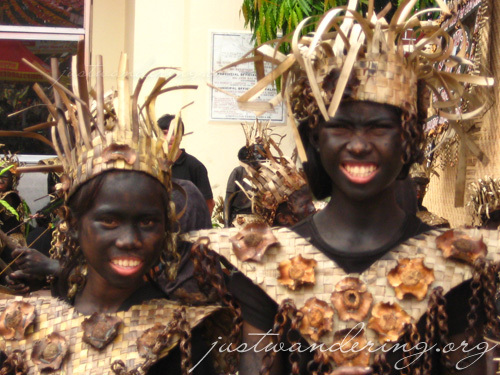 Though Kalibo is the main venue of the festival, other towns also have their own ati-atihan celebration: Boracay on the second Sunday, and the town of Itbajay on the fourth Sunday. Maybe it’s because I didn’t stay long enough or explored the parade route, but this festival is rather toned down compared to the festivals I’ve seen last year. The outlandish costumes were certainly present: there were people dressed up as eagles, dressed up as horses and dressed in… pink. Yeah, I think I need to rest before going to festivals. I’m usually too exhausted to enjoy them. Nonetheless, it was an experience. I love how people are so passionate about the ati-atihan, from the smallest kids to the oldest grandmother who still dances. More than anything, the ati-atihan is a family affair — I saw fathers and mothers with their children dancing in the streets. The festival, no doubt, is truly a part of their tradition. I left Kalibo around 2:30pm, just as the last contingent inside the Magsaysay Park left to join the parade because I wanted to arrive in Boracay before dark. I was dozing on the van all the way to Caticlan, dreaming of the next time I go back for Ati-atihan. this is the festival that i really look forward seeing but sad that it always coincide with sinulog. one day ill be seeing this. thanks for sharing. i like the trip from kalibo to caticlan specially on the part where on one side you can see mountains and on the other side the sea. amazing photos! hope to be part of this someday! After,the celebration of the festival you could actually, think of visiting Boracay island for more fun of gazing it’s beauty, it would be your great adventure for sure. sense it is just a L300 van to Caticlan before reaching Boracay.